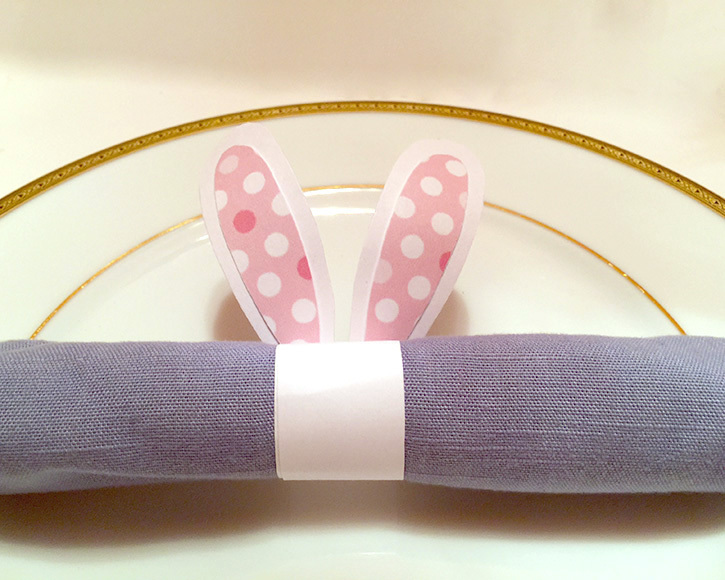 Add this cute festive napkin ring to your Easter dinner table. 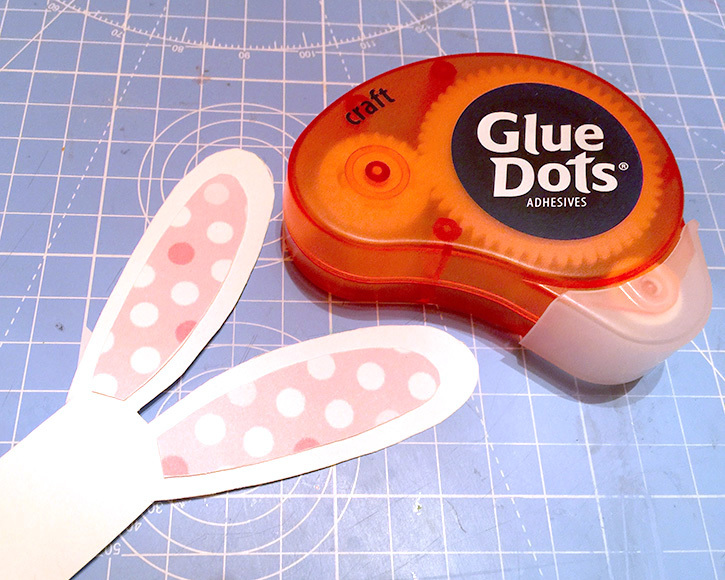 This is a quick and easy craft that the kids can help with. 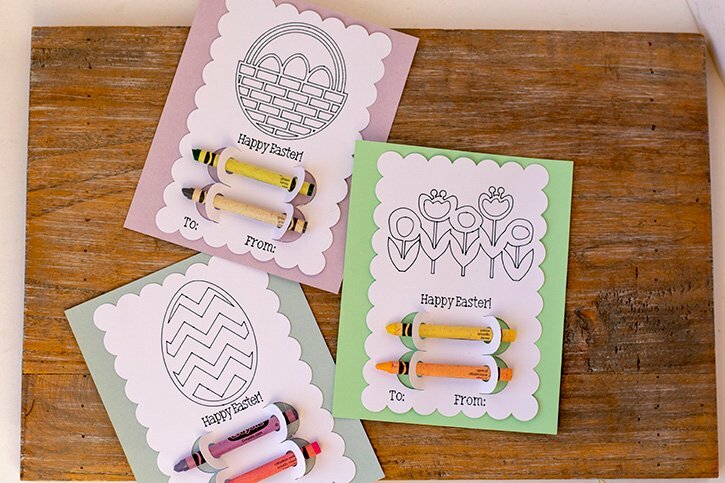 Print as many cut files as you need place settings. 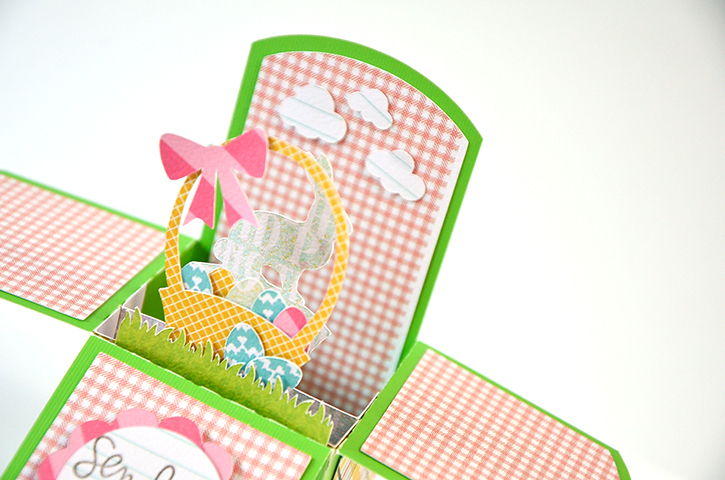 Each sheet includes shapes to make two napkin rings. Cut all of the shapes. Cut inside the black lines so the black is cut off from the napkin ring. 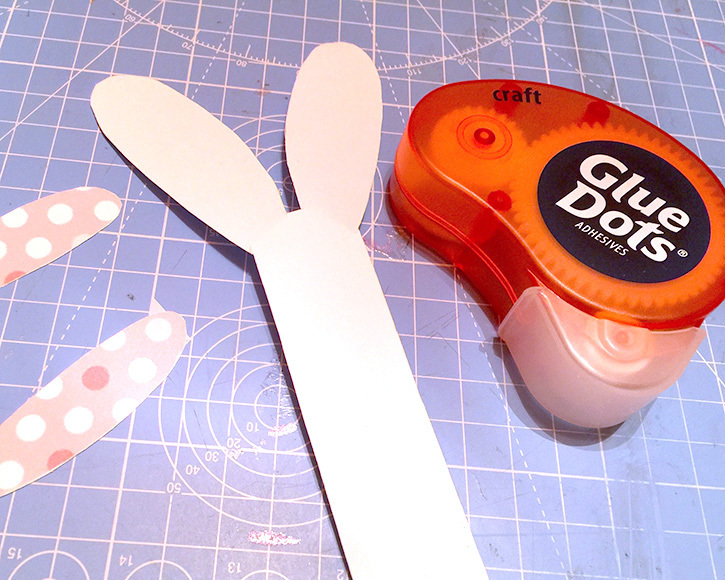 Use the Craft Glue Dots to adhere the inside of the ears to the napkin ring. 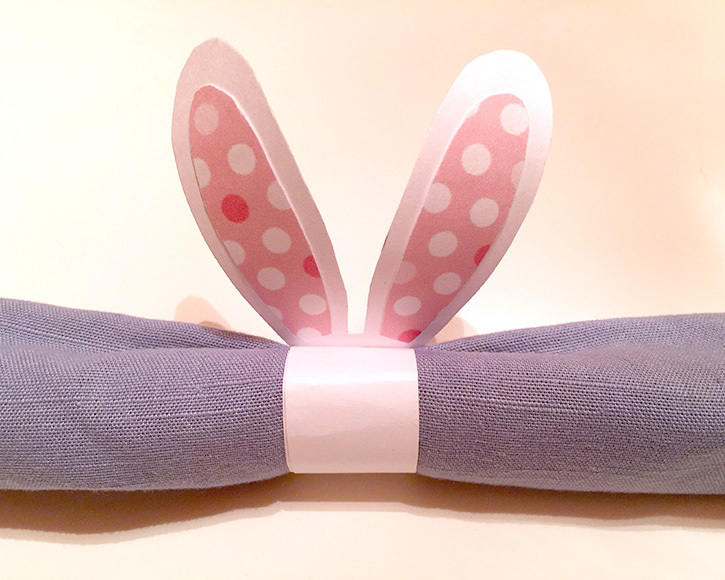 Wrap the napkin ring around the napkin and use a Craft Glue Dot to hold the napkin ring in place. If desired, use your fingers to slightly bend the ears. 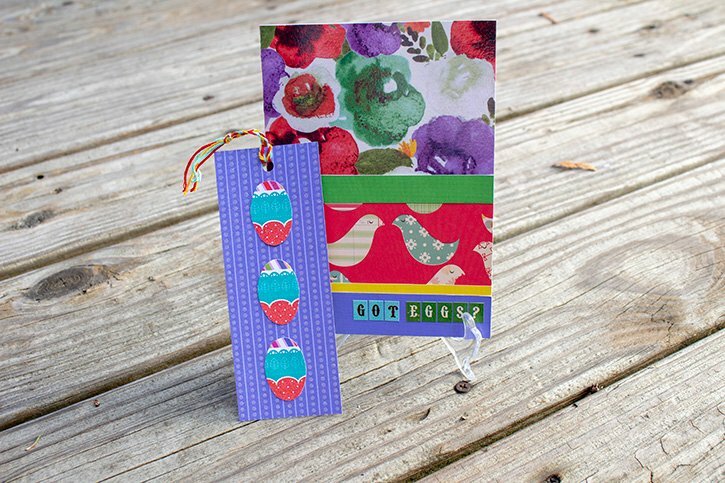 Tip: Write names on the napkin rings and use them as place cards.